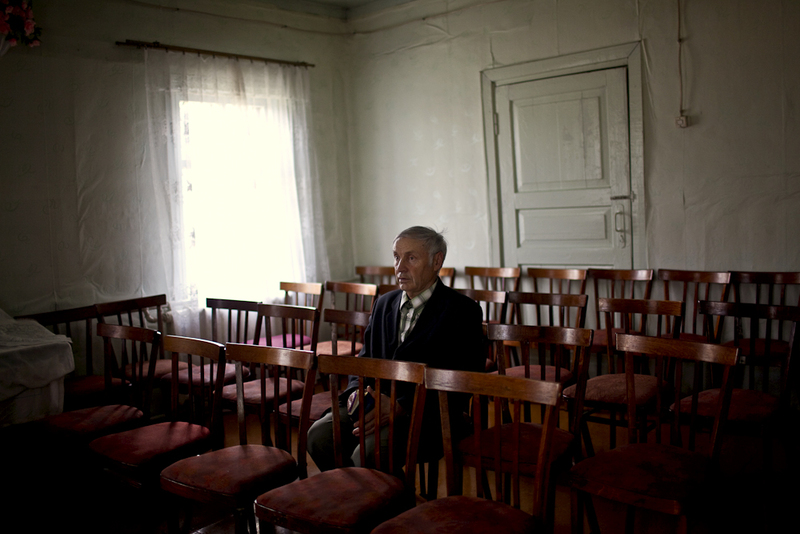 Bekk Villi Oskarovich, sits in the Lutheran church after Sunday mass in Syktyvkar. He was held in captivity in a labor camp for years. He is originally from Ukraine, but lives in Syktyvkar, Russia.